Cute, stylish and traditional, our metal bar cart on coasters has two shelves for maximum storage. 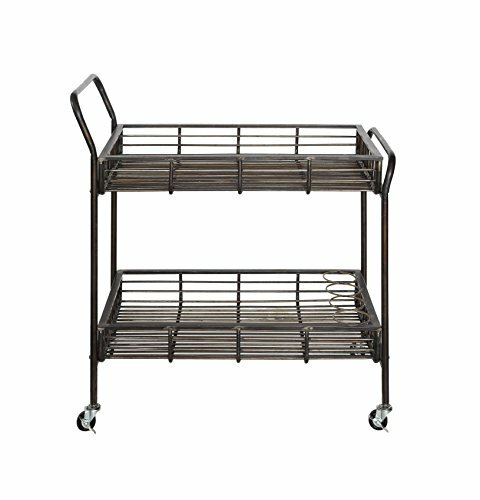 Keep your bar cart stocked and easily roll it out when having a party or event. View More In Book Carts. If you have any questions about this product by Creative Co-op, contact us by completing and submitting the form below. If you are looking for a specif part number, please include it with your message. By Honey Can Do. .